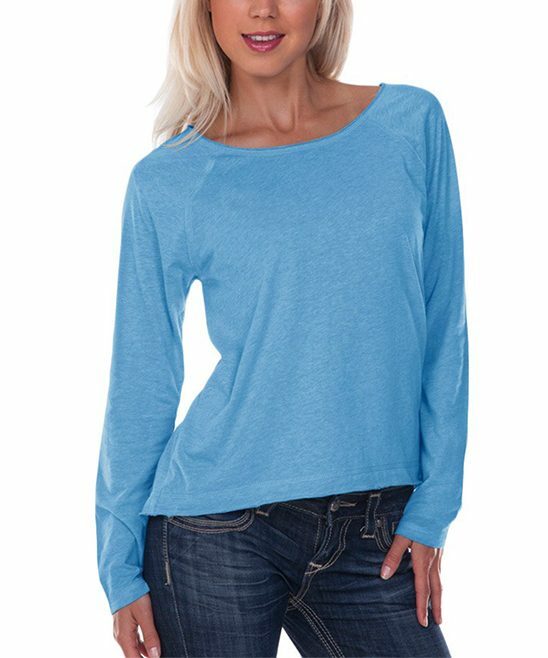 Baby Blue Pullover Only $16.99! You are here: Home / Great Deals / Baby Blue Pullover Only $16.99! I love this blue! It’s such a great blue – it generally makes everyone look terrific! This light weight Baby Blue Pullover is Only $16.99 at Zulily! The cotton blend ensures a comfortable fit and feel! Available in XS-XXL!